Bess Cozby writes epic stories in expansive worlds from her tiny apartment in New York City. 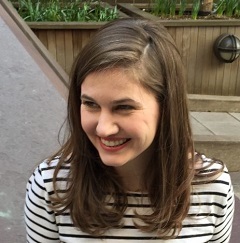 By day, she’s an Editor at Tor Books, where she acquires middle grade, YA, and adult fiction for their Starscape, Tor Teen and Forge Imprints. She is also Web Editor for the popular writing website, DIYMFA.com. Her work is represented by Brooks Sherman of Janklow & Nesbit Associates.